Alkaloid Networks coworking opened in April of 2015. 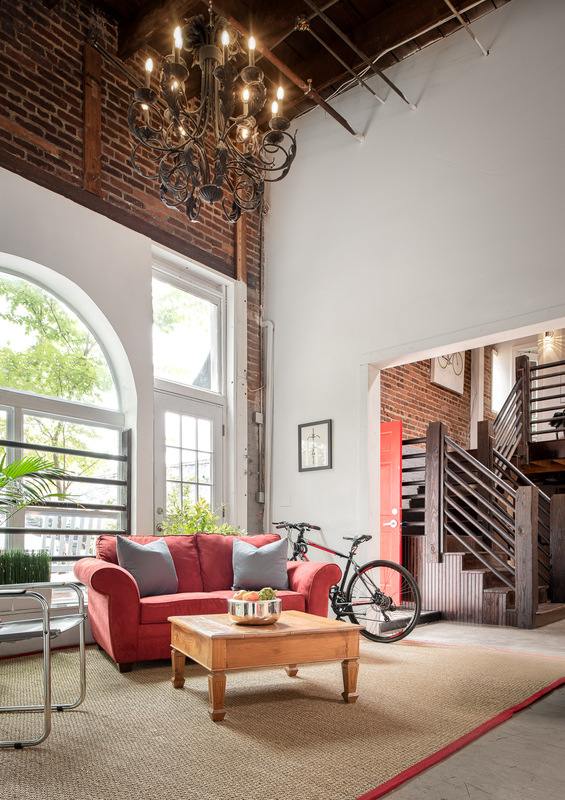 Our founder, Katharine, saw a unique opportunity created by a beautiful old warehouse space in a central location that is easily accessible by foot or bike. With lots of exciting culinary options and creative urban living nearby, it seemed to be the ideal spot for emerging businesses to plant their seeds. A quick note about our approach: we offer a limited number of shared desks. We wanted to create a more tight-knit community and ensure that members had full access to the available amenities. The best way we found to do that was to limit membership to people who wanted to be in the office regularly. Alkaloid Networks is located in the historic Virginia Cotton Docks warehouse in Old Fourth Ward. 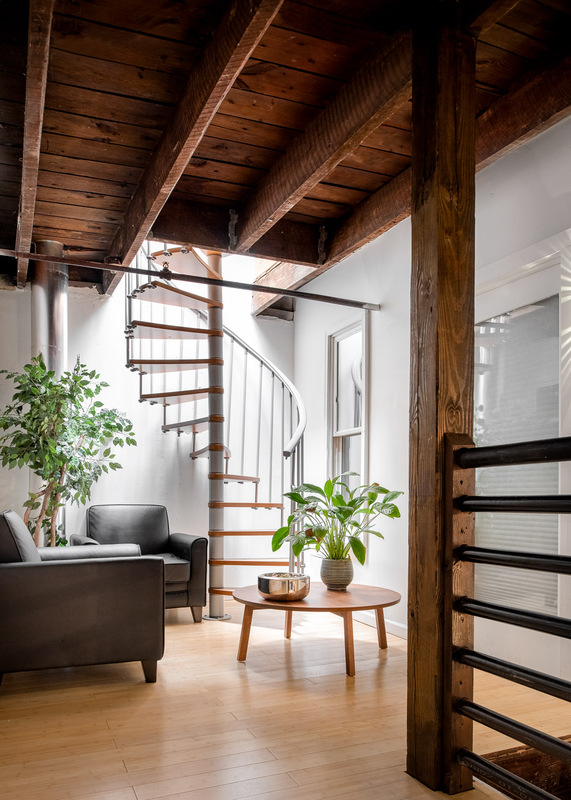 The modern, creative loft space has been recently renovated and includes exposed brick walls and 20-foot ceilings. Being on the Eastside Beltline Trail, Alkaloid Networks makes urban commuting a breeze. With our location near Irwin Street, access to Inman Park, Old Fourth Ward, Piedmont Park, Virginia Highland, Poncey-Highland a short walk or bike ride (indoor bike parking available). Access to Marta is a 10-minute walk and plenty of free parking is available when you need it too. Hungry? With so many choices, you’ll be able to find whatever strikes your taste buds. A short list of your choices are Krog Street Market (with an amazing list of choices all on it’s own). A short walk with take you to Highland Bakery, Inman Perk not to mention that LadyBird is our neighbor right next door. Are you a member of Alkaloid Networks? "Coworking at it's best in Atlanta!" After working from home the last 6 years, this was an easy transition back into an office environment. The space is very inviting & open. Centrally located off the Beltline in Atlanta, makes it very convenient to walk to all manner of restaurants & services. The owner is highly personable & responsive to any questions or requests. There is an onsite kitchen, expresso machine, snacks & unlimited coffee for burning the midnight oil. There is an outdoor space perfect for holding meetings or just soaking in the vitamin D on nice fall day. Highly recommend this location to anyone considering coworking space. 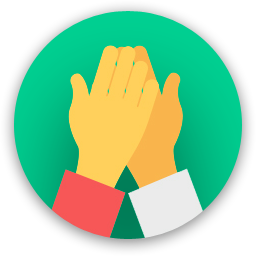 "Alkaloid is #1 in coworking spaces in Atlanta!" I work from home and it can get lonely. Alkaloid is the perfection solution. The atmosphere is just what I was looking for. Almost everyone is heads down work, but with the camaraderie that comes with working alongside others. Plus, there is coffee and snacks so when you hit that 3pm slump you can perk right back up and power through the end of the day. And the location is unbeatable! It is right on the Atlanta beltline; restaurants, coffee, and after work happy hour spots are right around the corner. Give it a visit if you are looking for a co-working home. "Amazing Coworking Spot - Great Location, Even Cooler People"
It's hard to describe how happy I am to have found Alkaloid. Working amongst so many talented and diverse people has improved both my productivity and my general mood tremendously. This location has so much to offer as well - great location on the Beltline, amazing amenities, etc. In particular, Katharine, the owner, does an excellent job running the place and keeping it a friendly and professional environment. I've networked a lot through my experience here and made some really wonderful friendships . If you've never tried coworking before, you should. And you should try it at Alkaloid. I really can't recommend it enough! The owner is amazing, the community is great, good food and celebrations. Amazing location, Awesome restaurants, and entertainment in the area. At the space, there are many nice people and peers. The owner, Katharine Chestnut is very good at her job, and she sincerely enjoys it. She takes care of all of her members as if they were family. the workspace is very quiet and I know that I get so much more work done here than I would do at home. I have been a part of the Alkaloid community since the start, and I will never go anywhere else. "Alkaloid was exactly what we needed! " Alkaloid was exactly what we needed! It truly was a major part of our growth. Not having to worry about the day to day maintenance of managing a space freed us up to focus more on hiring the best staff, maximizing productivity and entertaining new clients in a professional environment. I recommend that every start up utilize Alkaloid Networks and all of its perks. It has proven to be a very important part of a business’ growth and future success. Thanks again. Already miss you guys!! We miss you already too! We are so excited to see what new things you do in your own space. "Delightful space, close to Krogg st market, continuously improving"
Katharine puts her heart and soul into this space, and it shows. The building is a renovated factory or factory that has an entrance right on the beltline. It's a 3 min walk to Krogg st market, and there are plenty of parking spaces. Inside, the space has a lot of character. 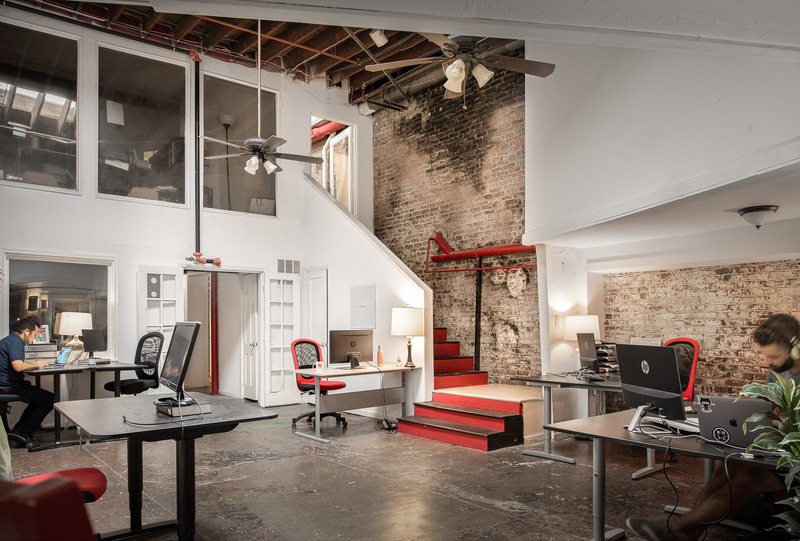 There are interesting office layouts, homebrew door authentication systems, and exposed brick walls. Internet speeds clock at ~50mbps. My desk was in the west wing, anI have enjoyed the quiet and productive atmosphere here very much. We were so glad you were here, even if only for a short time. Good luck at your new job and come back east to visit us sometime. "Great Location, Coffee, and Coworkers"
I rented a desk at Alkaloid to increase my productivity compared to working from home. You really can't beat the location as far as accessibility (foot or bike) and the local food options. There is also always a warm pot of locally-roasted coffee to help you through those less-productive parts of the day. Great coffee, friendly peers. During my visit, I noticed quite a few things. the Alkaloid building is easy to find right off the beltline, there are bike racks located around the office space, and showers are convenient for after rides down the trail. Really great space directly on the Beltline. Has a funky, laid-back vibe. Great locally roasted coffee always available. Great community of folks who come from a broad array of backgrounds and have myriad interests. "More productive than the home office"
I have rented co-working space at several places around town and Alkaloid is my favorite. The people are very nice, easy to deal with and helpful without being intrusive. The space has nicely organized open spaces. 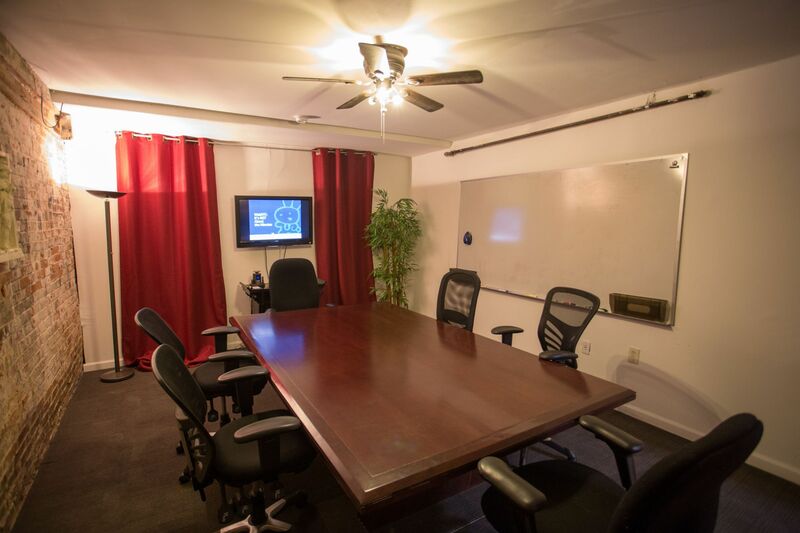 There are enough meeting rooms that availability is not an issue. The location, right on the beltline, could not be better. I cannot recommend Alkaloid highly enough. "Awesome Co-working Space on the BeltLine"
Fantastic location on the BeltLine with a great selection of dedicated desks and private offices. The owners are involved and really care about providing a top notch work environment. The space is hip and has a great vibe. Prices are reasonable and Alkaloid has a diverse group of creative professionals. "Bishop Fox at Alkaloid "
We loved working at Alkaloid Networks. The management was super friendly. Katherine was amazing. She was always available and responsive whenever we needed something. The location on the Beltline was super convenient, with lots of places to grab coffee or lunch nearby. We would have loved to have been able to stay in the office, but our company doubled in size and needed to move. Our company would definitely recommend this space to others and will keep it in mind for the future if our needs change. "Beltline makes for easy access to anything you need"
I've been to most of the prominent coworking spaces in Atlanta, and this is by far my favorite. Great building, location, atmosphere, and free parking means that I can get work done and enjoy doing so. "The office one dreams of"
If you like places with great atmosphere ,convient amenities and great staff this is the place for you. Wonderful environment !! Alkaloid offers everything you could want in a workspace. Wifi? Check. A variety of comfortable seating in fun spaces? Check. Projection screen? Check. Kitchens, sunny rooftop, and modern industrial design? You bet. Aside from the great space to do that 9-5 bit, or 24/7 if that's your style, you have access to some of the best food Atlanta has to offer in Inman Park! And to work that off, that's right, Alkaloid is right on the Beltline- not only is it a safe and easy commute, but you can get your workout in, then shower off at work. Working from home was always what I thought was the ideal, but distractions abound. Alkaloid offers a perfect balance of work with limited distractions of your own making. Highly recommended. 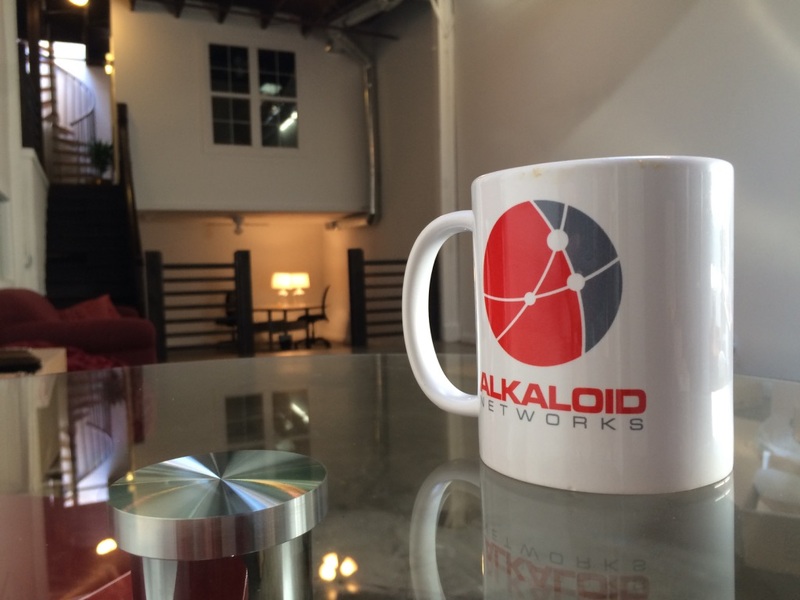 "Alkaloid Networks is a great place to work!" "Great place to work !!!!!" I recently moved my office to Alkaloid and it has turned out to be one of the best decisions I have ever made. The office is a great space to think and get the work done, but it allows for a very creative and tech friendly community feel. 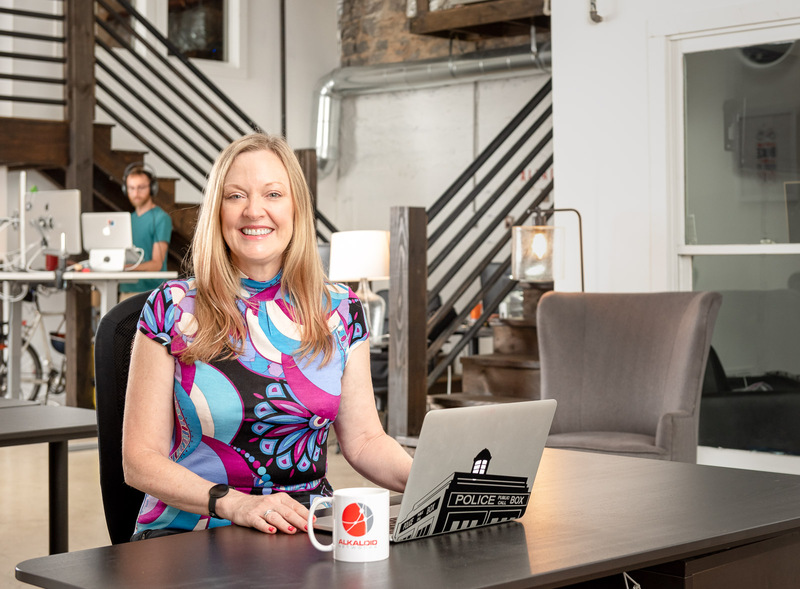 "Excellent coworking space in the heart of Atlanta"
Alkaloid Networks is an incredible coworking space right in the middle of the gorgeous Old 4th Ward community. It is also conveniently accessible excellent attractions like the Beltline, Ponce City Market, Krog Street, Inman Park and more. The community at Alkaloid is perfect for start ups, consultants and all sorts of creative people. I would HIGHLY recommend checking them out and becoming a member of this great community. "Great location, friendly work environment"
We have been here for a few months and it's great. Lots of friendly people in the space and it's in a great location. Katherine and Ben provide a great supportive and inviting co-working community. "the best place to work in east atlanta"
Alkaloid is right on the beltline-perfect for any type of commute. We have large, quiet rooms that reinvent the idea of office spaces. No cubicles here! "Great coworking space on the Beltline." I researched co-working spaces in the Atlanta area for my new remote-based job, and Alkaloid is hands-down the winner. It features a comfortable and trendy workspace with all the amenities -- coffee, conference rooms, presentation area, etc without any hidden or extra fees. Being on the Beltline makes it a convenient and fun place to come to work. You can bike or walk to shops and cafes or take a quick break on its rooftop, loading dock, or walk on the beltline. I have been very productive here and would recommend Alkaloid to anyone to be more productive either with dedicated desks or office space. "Amazing Space, Amazing People All Around"
This entire space is amazing! It feels like you're working amongst friends every day. I work in a private office with coworkers, but the individual desks carry that same feeling. The roof deck is great, and afternoons overlooking the beltline are phenomenal. There's a perfect mix of modern/art/and preserved history throughout! The amenities leave nothing to be wished for and being just feet off the beltline makes an afternoon workout perfect - especially considering the showers on premise for when you're done. Or if it's more your thing, there's a workspace with perfect wifi access where you can overlook the beltline while you work. I'm able to almost literally bike into the office. The location on the Beltline is fabulous--easy walks to coffee, lunch, drinks. I've been working in the office for over a year--nice and considerate people, great, refurbished old industrial space. Alkaloid is simply suburb! I love going to work each day and being greeted by the same friendly faces. Katherine and Ben are a wonderful, generous, and gracious couple who go out of their way to make everyone feel at home. 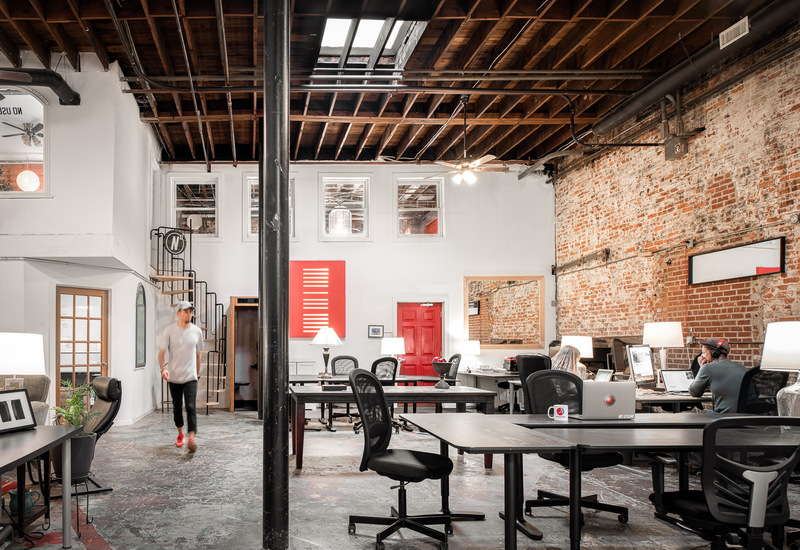 There are so many reasons to love this space with it's roof top deck, easy access to the ATL Beltline, monthly coworking lunches, and hoola-hoop fitness breaks.... You really can't ask for anything more. Alkaloid is the perfect location for any business big or small. Alkaloid is great. Not only do you have a space to work, and amenities there, but you have access to the city and all it has to offer. Right on the Eastside Beltline trail, we have Krog Street Market right around the corner, as well as other great spots, but the accessibility to everything is awesome- and I can safely walk or bike to the office, which is an awesome perk. In the actual space, there are kitchens, full bathrooms with showers should you choose to lunchercise, wifi and an aspect of community too. Diverse, welcoming, and beautiful. I'm happy to have found it! "Affordable and convenient space with a unique vibe"
I compared several Atlanta co-working spaces, but honestly, Alkaloid takes the cake. Katharine and Ben immediately gave off relaxing and friendly vibes, the amenities compete with the much higher priced spaces around the city, co-workers are down to earth and friendly, and you can't beat the location - it is on right on the Beltline. Love this space and the people I rent from. Quiet and respectful office mates. 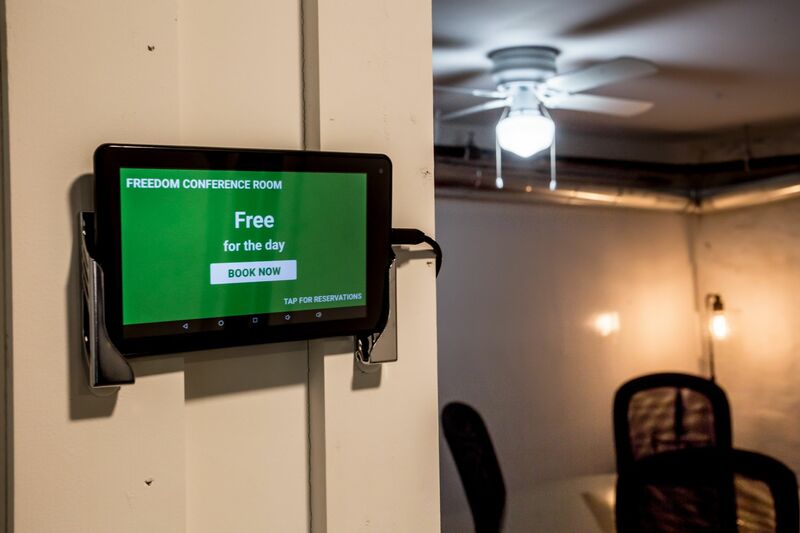 Enough conference rooms to always have availability. Plus, showers if I want to go for a run on The BeltLine. You pay way more for way less in Buckhead and other places. I look forward to adding on here as my company grows. "Alkaloid Networks is the best!" As a busy event planner, I am always on the go. Working from home just wasn't cutting it anymore. I needed a place where I could go that was free of distractions but also felt like mine. Coffee shops were not an option for me. Luckily I came across Alkaloid Networks which checked off all my boxes. I have a dedicated desk to hammer out all my emails, multiple conference rooms to meet clients and the look and feel of Alkaloid Networks fits my brand and vibe which was important to me. 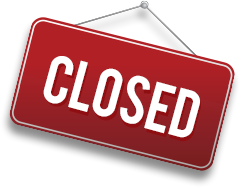 I have been so pleased with my decision to call Alkaloid Networks home for my business and really don't see a reason to ever leave! We have a 3ish person office in Alkaloid and our needs are more than met. It's nice to have creative people around us, and the location can't be beat. Katharine and Ben go out of their way to help provide a communal feel. 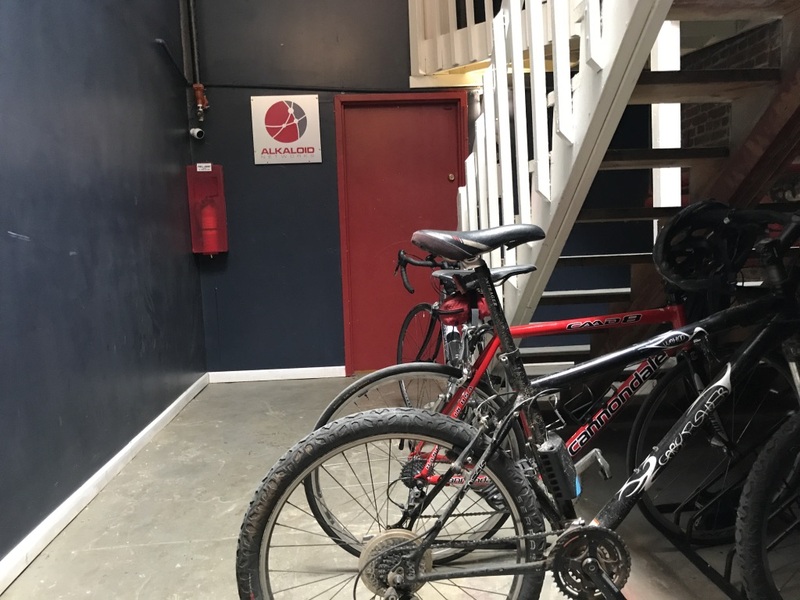 Co-working at Alkaloid Networks was an overall great experience. Katherine and Ben are incredibly supportive landlords and are great to work with. We transitioned from a desk to an office and both were equally awesome experiences. From the low key yet convenient location to the fun and enthusiastic management and coworkers, it has the whole package! I have had office space here for about six months and it has been great. The people are awesome and the location is on the beltline, which is amazing. Moved from Brooklyn to ATL in October and decided to work out of Alkaloid. Really glad I made this decision. Katharine and Ben are fantastic and are very helpful in getting people set up, logistical support, introductions to the other workers in the space, etc. The location is fantastic, but there are many other things that make Alkaloid a great spot, including Katharine going above and beyond in coordinating group lunches and throwing Thanksgiving and X-mas feasts. There is also a full kitchen to utilize and a constant supply of fresh coffee delivered. A very congenial and respectful environment has been fostered and I hope to continue to be a part of it. Alkaloid is a really great location. The people are incredibly kind and the office space it phenomenal. 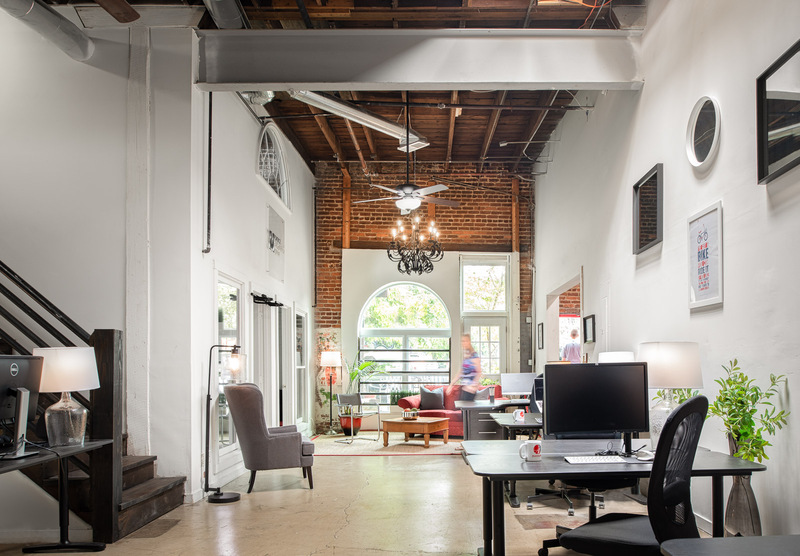 Unique loft offices in the best part of Atlanta! We were at Alkaloid for a few months prior to the sale of our company. I miss walking the belt line every day. The staff is very responsive and the price is affordable! "Great Coworking On The Beltline"
Alkaloid has everything I wanted from a coworking location: great location, reasonably priced private office, and a quiet and friendly environment. "A unique space, full of kind and helpful folks." Steps from ATL's Beltline trail, this is a unique space full of kind folks. Katharine and Ben go out of their ways to make sure you're comfortable and have the things you need. There's a shared roof-top deck for working on nice days. And if you're a coffee nerd, there are fresh, locally-roasted beans and pour-over gear in the upper kitchen. "Great Move for My Business"
I'm a consultant and had previously worked from home before coming to Alkaloid. I'm SO glad I found this place. The location, space, and amenities are exactly what I needed (kitchen, plenty of space, high speed wifi, 2 conference rooms) and everyone who works here is very friendly. Really the best decision I've made for my business in a while! "Exactly What My Business Needed"
"Great coworking space with plenty in walking distance"
Alkaloid is a fantastic coworking space. I've been a member for several months and wholeheartedly recommend it. In addition to fantastic benefits like not charging for conference room time, printer usage, or other 'standards' that a lot of other spaces might bill for - Alkaloid is in a prime location right on the Beltline. Ladybird is right next door and Krog Street Market is a 10 minute walk. The absence of Hot Desks means that I know the people who are working next to me every day. Lots of options for all different kinds of businesses. Wonderfully managed - flexible and accommodating! "Nice place, easy to get work done"
My company rents private offices here and it is a great place to get work done. It is quiet, but you rarely feel like you are working alone. The beltline is within 50 yards, and it is a short walk to Krog Street Market for food. The building is old, and there are issues related to that now and then, but overall it is a nice environment. 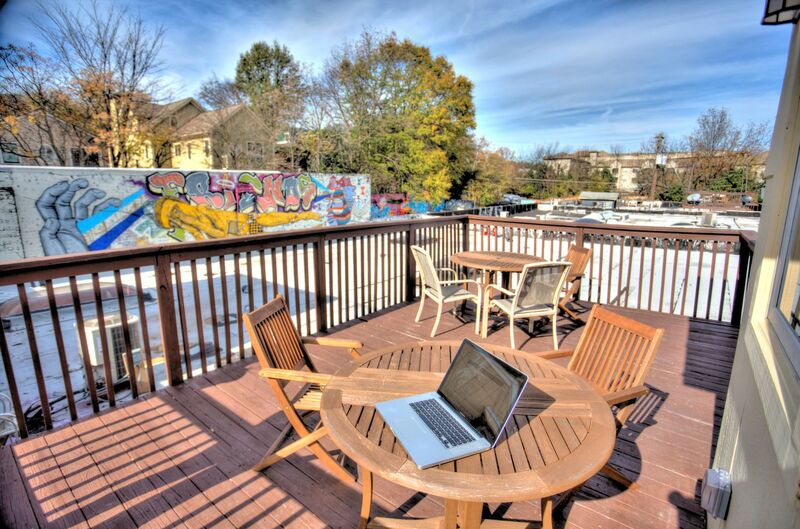 "Eclectic and quiet environment with nice group of people"
Excellent location right on the Beltline. Love the vibe and the people. Really like that it is only dedicated desks and private offices so I get to know my coworking neighbors. The Beltline is basically the most beautiful thing ever. I can grab a quick lunch or ride to places like Trader Joe's or Ponce City Market to run errands. Right on the Beltline in Atlanta! Definitely check out the Krog Street Market! Fresh, local coffee beans and gear for pour overs in the upper kitchen. Rooftop deck for working outside on nice days! Check out Little Tart Bake Shop in Krog Street Market for a fresh cup of espresso. Alkaloid Networks will be in touch with you soon to confirm. Alkaloid Networks has received your membership enquiry and will be in touch with you soon.